ARE YOU CAUGHT IN A DOCUMENTATION BIND? If so, you’re not alone. It’s getting mighty hard to find engineers with good writing skills these days. Ever since the “education revolution” of the permissive 70’s and the engineering schools’ subsequent reluctance to demand competence in the humanities, a strong combination of verbal and analytical skills has become increasingly rare. But an engineer’s worth is only as good as his or her ability to communicate ideas to other people – some of whom are customers. Is your company delivering well-designed products with poorly-designed documentation? 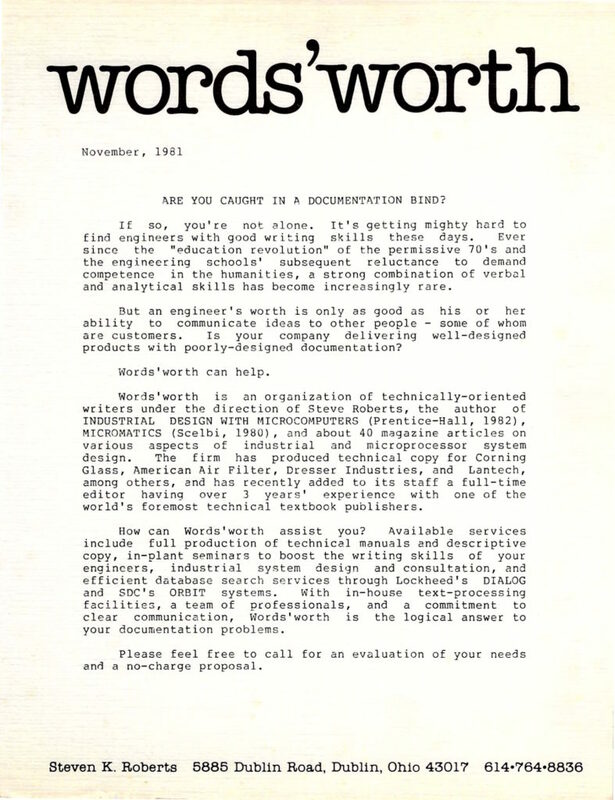 Words’worth is an organization of technically-oriented writers under the direction of Steve Roberts, the author of INDUSTRIAL DESIGN WITH MICROCOMPUTERS (Prentice-Hall, 1982), MICROMATICS (Scelbi, 1980), and about 40 magazine articles on various aspects of industrial and microprocessor system design. The firm has produced technical copy for Corning Glass, American Air Filter, Dresser Industries, and Lantech, among others, and has recently added to its staff a full-time editor having over 3 years’ experience with one of the world’s foremost technical textbook publishers. 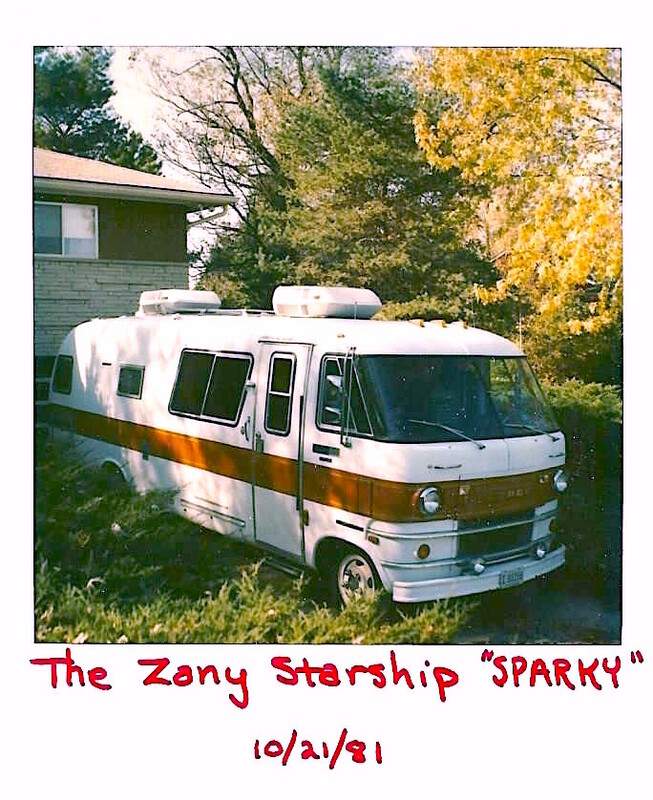 We put together a mobile office in a 27-foot Travco motorhome, and were preparing to take the freelance writing/consulting business on the road. How can Words’worth assist you? Available services include full production of technical manuals and descriptive copy, in-plant seminars to boost the writing skills of your engineers, industrial system design and consultation, and efficient database search services through Lockheed’s DIALOG and SDC’s ORBIT systems. 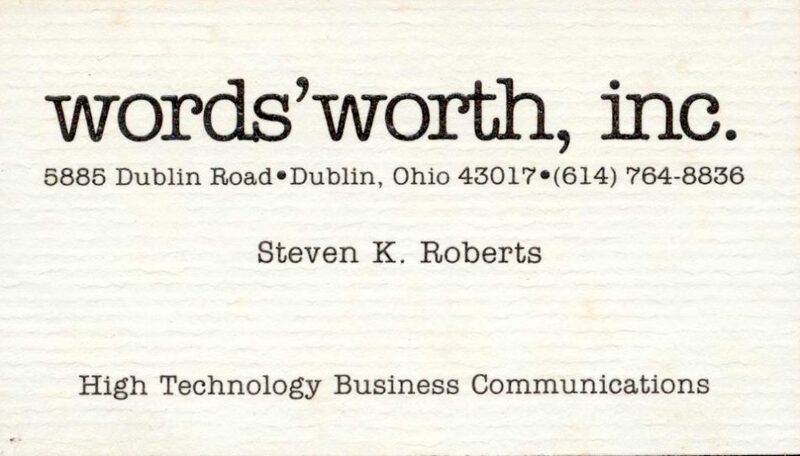 With in-house text-processing facilities, a team of professionals, and a commitment to clear communication, Words’worth is the logical answer to your documentation problems. Please feel free to call for an evaluation of your needs and a no-charge proposal. Please note – the contact info on this page is no longer valid!